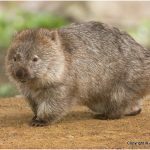 Wombat belongs to the group of marsupials and can be found in the coastal regions of South-Eastern Australia and the islands surrounding it. 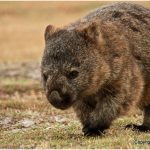 Wombats prefer to live in open grasslands and eucalyptus forests. The species of wombat is divided into two categories- hairy-nosed wombats and bare-nosed wombats. These animals are considered as pests in some parts of Australia, as they ruin their crops and fences. To protect their agricultural land, farmers often kill these animals. Habitat loss is another threat to these animals that is making them almost extinct in this region. The second largest marsupial found in Australia is wombat. They weigh about 80 pounds and measure 45 inches in length. 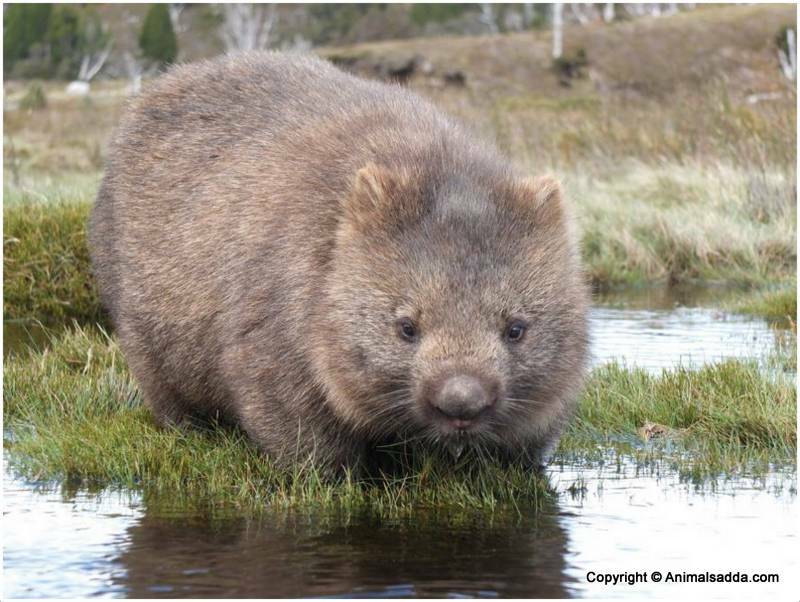 Female wombats are a bit bigger than the males. 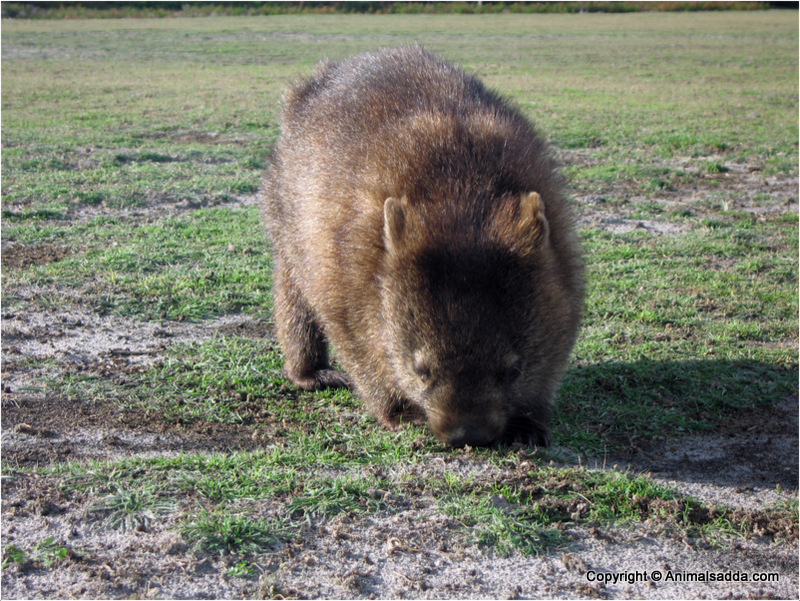 Wombat’s body is covered with fur that can be ochre, dark brown or black in colour. They resemble small bears and have small ears, round head, flat claws and a body that is barrel shaped. They can dig into the burrows underground up to about 100 feet long. They dig a number of burrows but only use 3 to 4. These burrows have a sleeping chamber and a couple of exits. Wombats are known to live in solitary and are territorial. They mark their territory using their stools and urine. Wombats are rarely found outside, as they spend most of their time inside the burrows. These places protect them from predators and heat. 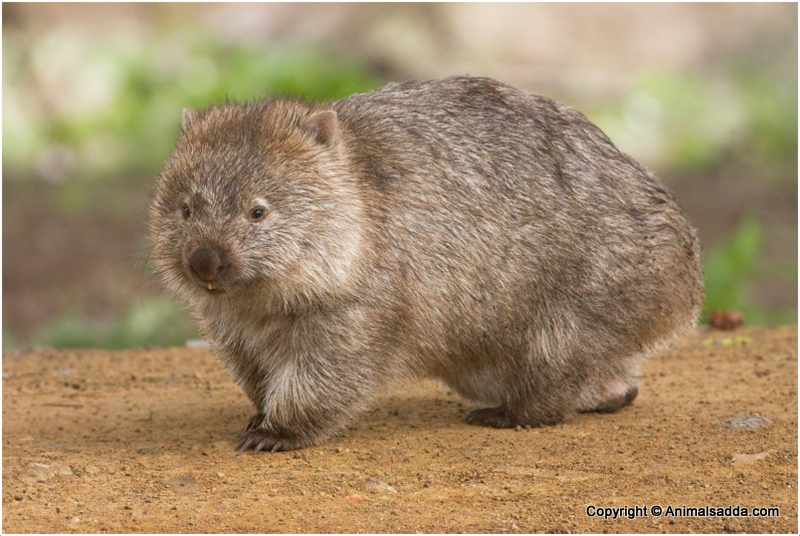 Wombats are active at night and hence they are nocturnal. They leave their burrows and go out in search of food when there is a drop in the temperature. They are plant-eating animals (herbivores) and feed mostly on grass, shrubs, roots, bark and moss. Their teeth wear off due to the plant-eating diet and grow constantly throughout their life. Wombats are known to be fast runners and can run about 40 miles an hour, but only for a short distance. Wombats are of the size of a medium-sized dog and measure about 30 inches long. A common wombat weighs about 55 to 88 pounds while the hairy-nosed wombats weigh from 42 to 71 pounds. They are herbivorous animals and only feed on plants, like roots, grasses, herbs, scrub and bark. They get water from the food they eat and can easily live without water for years. They digest tough roughage with the help of special enzymes found in their stomachs, but it still takes 14 days to digest their food. 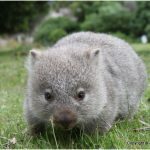 Most of the species of wombats inhabit in the forests, mountains and grasslands of Australia and Tasmania. They live in burrows consisting of a sleeping chamber and several tunnels. 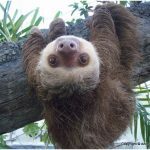 According to the San Diego Zoo, they build tunnels in a burrow that can reach up to 200 metres in length. They may live in the same burrows for a year and have several separate burrows in an area. 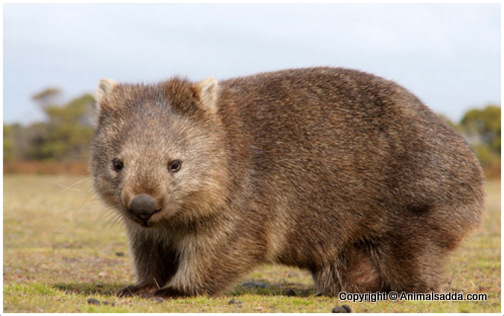 Wombats are strong animals and known to be efficient excavators. They can dig faster than what a man can using a shovel and they can dig even the hardest of soils. 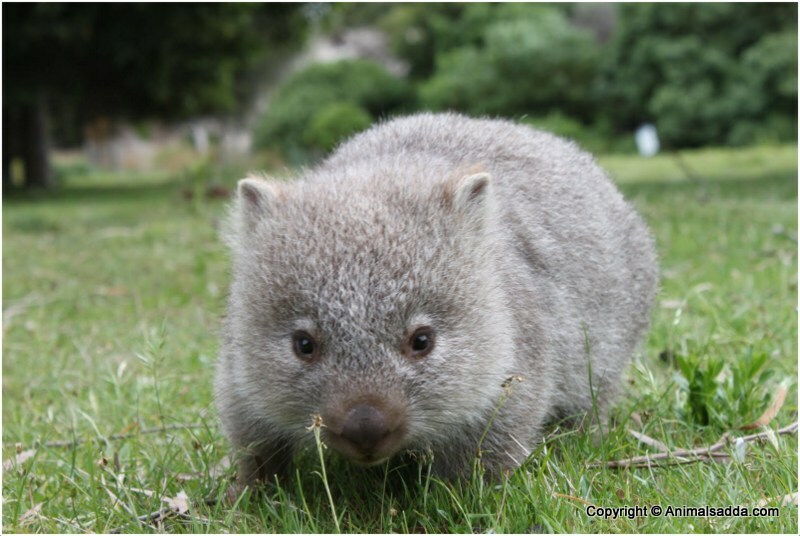 Wombats are the most playful species among marsupials, which proves them as intelligent creatures. They often bite to express their feelings without any intention to injure. They are mostly active at dawn and dusk, as they are nocturnal. However, they are active during the day only in cold months when they warm themselves by lying down under the sun. They come out at night to graze for food since they are nocturnal animals. This is the time when the temperature is lower as well. In cold seasons, they graze throughout the day and bask themselves under the warmth of the sun. They search for food at night for 3 to 8 hours by travelling several kilometres. They visit up to 4 burrows within the range of their homes. 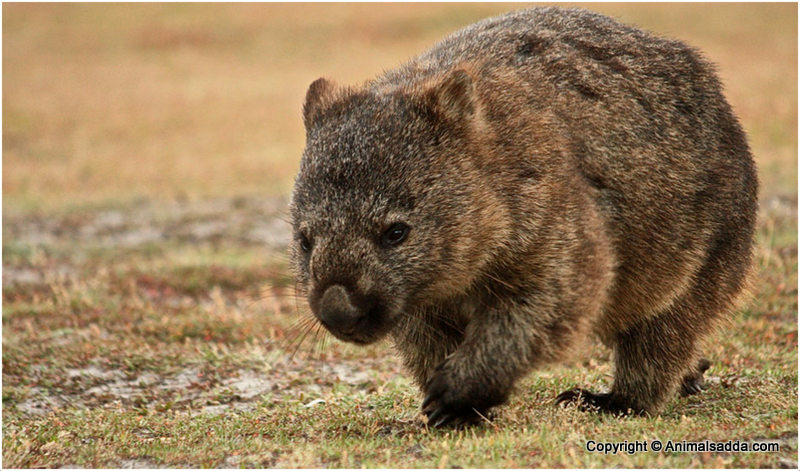 Wombats are solitary animals and only a single wombat inhabits one burrow. Wombats give birth to a single offspring at a time and the gestational period of a wombat is 20 to 22 days. 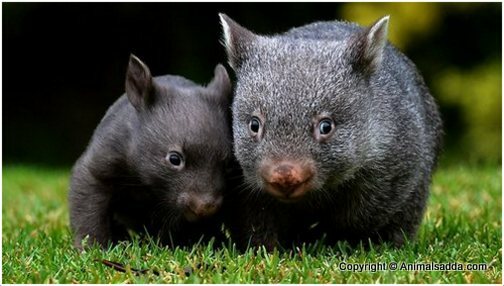 A young wombat is called joey and it is very small. It weighs only about 2 grams, just the size of a jellybean. Joeys have no hair but they have a very thick skin that keeps them warm. Their ears do not function properly and they are blind since birth as well. But they have a good sense of smell with a large tongue and mouth. It takes an average of 8 months for a joey to develop and grow. It remains attached to the mother’s pouch that protects it when it gets frightened. After coming out from the pouch, it lives inside the burrow when the mother goes out in search of food. Humans are the biggest enemies of wombats. 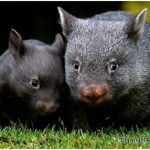 Due to the hunting, poisoning and trapping of wombats as well as destruction of their habitats, the wombat species are nearing extinction. It has been completely eradicated in many regions. 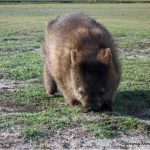 The range of habitats of a wombat is very restricted and smaller these days. Hence, many wombats are seen getting killed every year by vehicles when crossing roads. Not many natural predators are there for hunting them. Their primary predators are known to be dingoes, foxes as well as Tasmanian devils. Often, threat is posed by owls, eagles and eastern quolls to the younger and smaller wombats. Wombats breed all the year round, but they mostly mate during the winter season. A young one is born after 30 days after mating. The juvenile remains attached to its mother for up to 6 months and stays with it until it is 18 months old. A wombat becomes a fully-grown adult and begins to mate at the age of 2 years. They live in the wild for more than 5 years. 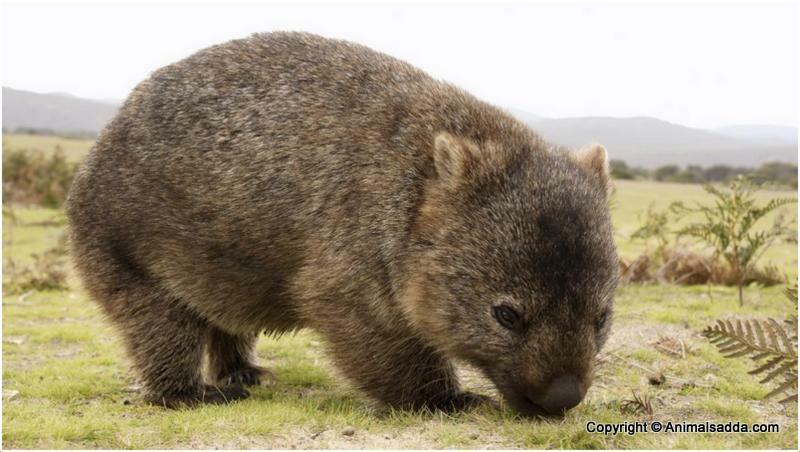 Wombats are a large and solidly built animal. 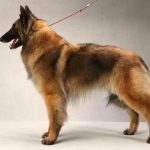 They have a round shaped body with various colours, like grey, black, sandy brown, etc. They weigh about 27 kilograms with an average of 1-meter length. 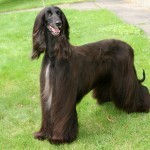 However, some are found to be up to 35 kg in weight and 1.2 meter in length. A Tasmanian wombat doesn’t look large and bulky, and it weighs about 20 kg, measuring 85 cm in length. 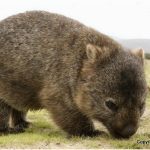 Wombats have large paws, short legs and strong claws used to excavate burrows. They dig using their forepaws and often back out after pushing dirt to one side. They have only one pair of upper and lower incisors that are different from other marsupials. Their teeth never stop growing throughout their lifetime. 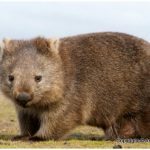 The lifespan of a wombat living in the wild is around five years whereas the one that is in captivity lives for as long as 30 years. They are herbivorous animals and feed mainly on grasses, roots, bark, sedges and herbs. Their incisors resemble the teeth of the rodents that help in gnawing tough plants. The fur of wombats varies in colour, like sandy, brown, black, greys, etc. 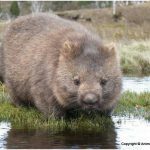 The species of wombats weigh between 20 kg and 35 kg and measure about 1 meter in length. They have small ears and eyes with a large, naked nose. They also have a thick coat of fur for protecting them from insects and cold.